With annual revenues of US$1.67 billion and a million customers as of last year, Alibaba Cloud is in the middle of a rapid expansion. Starting with its initial presence in China, the cloud giant has now launched 49 availability zones in 18 regions, and was recently ranked as one of the world’s top three IaaS providers by analyst firm Gartner. Indeed, Alibaba Cloud has more data centers in the Asia Pacific (APAC) region than its rivals Amazon Web Services and Google Cloud. “We are fully committed in Asia Pacific; we are localized compared to the US-based [cloud] companies. We invested a lot of resources in Southeast Asia, including building an e-hub in Malaysia,” Alibaba Cloud’s chief cloud architect Derek Wang told DCD. Outside China and Hong Kong, Alibaba Cloud has data centers in Singapore, Malaysia, Australia (Sydney), India (Mumbai), Indonesia, and Japan (Tokyo). Coupled with its dominance in China, this puts Alibaba Cloud in second place for both IaaS and SaaS market share in the APAC region, according to a report published by the Synergy Research Group in June. 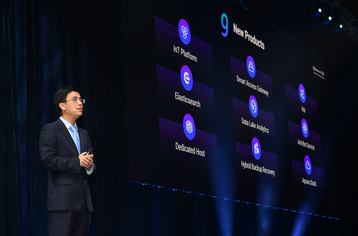 Last week at the Alibaba Cloud Summit in Singapore, Wang announced the launch of nine services worldwide. He also pointed to collaborations with educational institutions such as the just-announced partnership with the National University of Singapore (NUS) on an innovation incubator program as further evidence of its commitment in APAC. 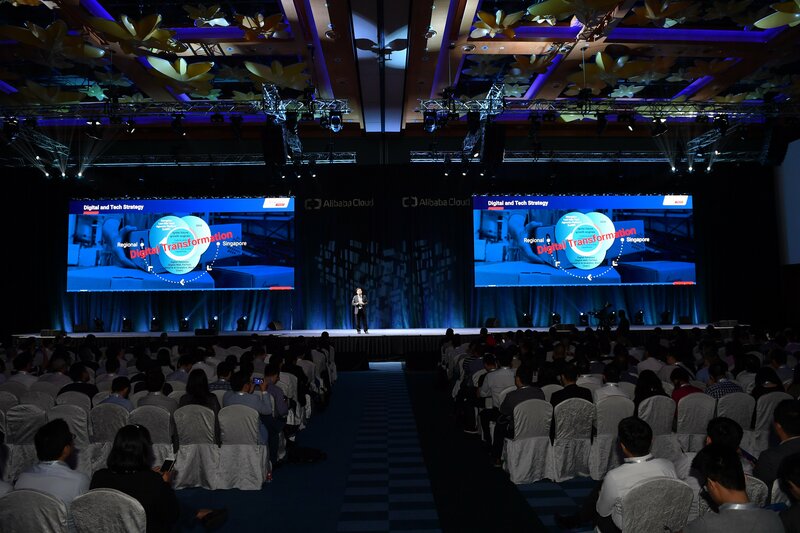 Even though it uses Google Cloud elsewhere, Malaysia-based AirAsia relies on Alibaba Cloud to serve customers in China, said Nikunj Shanti, AirAsia’s chief data and digital officer, speaking to DCD last month. As data sovereignty becomes an increasingly important topic around the globe, China’s new cybersecurity law similarly mandates that foreign organizations store Chinese citizen data within the country. This has already led to quite a few deals: for example, Apple is building its first Chinese data center in partnership with a government-controlled hosting company. Not every organization is large enough to require their own data centers though, and that’s where Wang said Alibaba Cloud can play a part. “We understand the cybersecurity law, we can give consultation services on how to set up IT environment in accordance to it,” he explained. As with the other cloud platforms, Alibaba Cloud grew from providing basic services such as virtual machines, databases and storage. It served a diverse range of companies, from gaming to media firms, as well as various Alibaba-owned businesses such as Taobao and Tmall. This strategy paid off as Alibaba Cloud gained the industry know-how that allowed it to build compelling solutions for e-commerce and logistic firms. “That’s one reason why e-commerce companies use our services. We provide best practice on how they can set up a good platform for e-commerce,” he added. 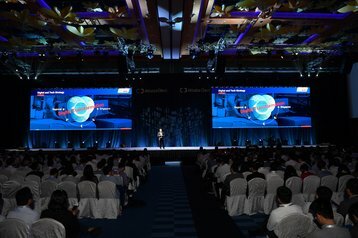 Alibaba Cloud’s focus on addressing customer pain points and challenges that may be unique to China has played a big role in shaping its cloud offerings. For instance, its AI-based “ET Environmental Brain” solution helps government agencies monitor pollution and make environment-related decisions by cross-analyzing a plethora of environmental data such as temperature, wind speed and air pressure, alongside satellite images, to predict likely smog patterns. An “anti-bot” service was among nine services that were launched globally last week. It was designed to thwart online shenanigans such as automated tools used by rivals to garner competitive insights, or scalping rackets that attempt to snap up transport tickets or online goods to resell at inflated prices. In some areas, Alibaba Cloud is clearly ahead of competition: while Microsoft and Google Cloud are only just rolling out or testing their respective on-premises solutions, Wang said Alibaba’s Apsara Stack has been used in China for two years. And because it contains no pre-defined limits on deployable nodes, on-premises deployments could theoretically scale as high as customers want.